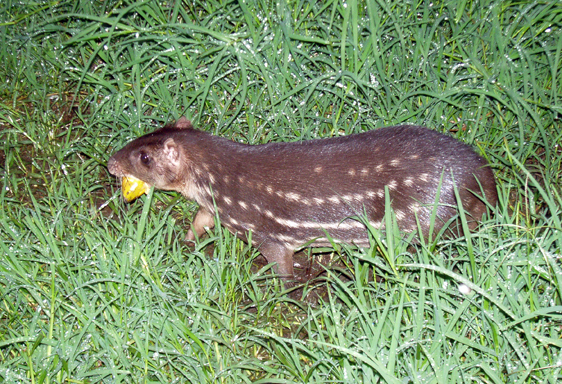 The genus Cuniculus has the two species of paca. 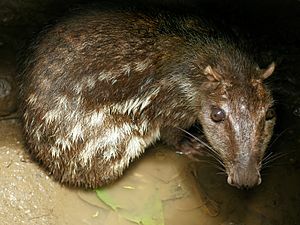 Pacas are found from southern Mexico to northern Argentina. They are a source of meat in many places. 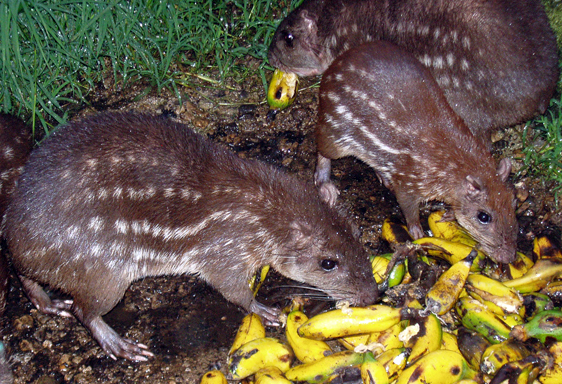 Both species of paca eat mainly fruit. Other foods include roots, seeds, leaves, buds, and flowers. In the wild, pacas are herbivores, meaning they eat only plants. In captivity, they are omnivores, meaning they eat both plants and flesh. Pacas in zoos eat fruits, vegetables, raw meat, lizards, and insects. Paca Facts for Kids. Kiddle Encyclopedia.